Cinnamon is an evergreen tree native to Sri Lanka and Southern India. Its bark is very commonly used as the spice we all know as cinnamon. The original one is the Ceylon cinnamon, also known as true cinnamon, which is mostly used in Europe. However, there are many related spices, also labeled as “cinnamon”, which is incorrect. For example, the most commonly sold in US and Canada actually is called cassia, distinguished from true cinnamon as Indonesian cinnamon or Chinese cinnamon. It comes from Southern China. 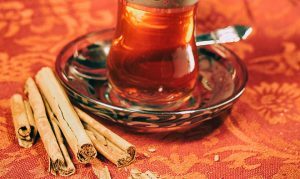 Cassia is a very close relative to the “true cinnamon”, but its flavor is less delicate than that of the true one and that is why it is less expensive. Cinnamon sticks (quills) are 5-10 cm long rolls of thin dried bark and can be grated into “cinnamon powder”. Most people prefer sticks to powder, because the sticks (if stored properly) can be kept fresh and flavorous for 2-3 years, while powder can last fresh for six months only. It may sound unbelievable that a half teaspoon of cinnamon contains antioxidants called polyphenols, about 1 gram fiber and less than 1 gram carbohydrate, and is rich in vitamins – C, K, and minerals – 28 grams calcium, iron, manganese. The health benefits of these wonderful spices have been known and used for thousands of years in Chinese medicine. Cinnamon was used as an embalming agent in ancient Egypt, because of its preservation effect. Traditional medicine has recommended cinnamon for digestive disorders -indigestion, gas and bloating, heartburn, diarrhea. Modern medicine has confirmed these health benefits of cinnamon and has added some more, such as anti-inflammatory and anti-fungal effects. * Despite all these health benefits of cassia, it should not be used in place of anti-diabetic drugs. In my next post I will reveal some interesting facts about cinnamon weight loss effect, and will share with you my favorite cinnamon recipes. You are welcome to join here! There will be a lot of sharing and discussions about the original recipe preparation. Everyone is free to share their experience and weight loss results in our closed group. 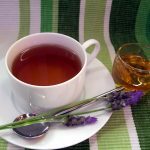 You will be able to post your photos and videos of making the Honey and Cinnamon Drink. cool blog. i will talk about this in dietradio. Thank you for your interest in cinnamon and weight loss. Please, follow this link for more information. in 1 cup of warm water.. It works with many i’ve come across…..
How long before you will see the results with the weight loss? How do you drink the cinnamon and honey? How much of each and how often should you drink it to see weight loss? I tried to drink it today in morning, but after that I felt sick in my stomach. I wanted to do vomiting and I had headachy. After 1 hour I felt better. Perhaps was the measure problem or the way I prepared. I don’t know why was this problem. Tell me please can use it again in evening? One fourth tsp.Cinnamon podwer+ one tbsp. honey + two tbsp.lemon juice with one cup warm water in empty stomach first thing in the morning worked wonders for me, a Type 2 diabetic,with BP on high side and bad cholestrol too.Results can be known in just 3/4 days.